Mighty Mom is a keen observer of life. She shares her personal experiences and opinions in helpful and often amusing ways. I come from a Catholic household. Catholic of the Irish variety. I qualify this because different ethnicities have special saints they pray to and have festivals to honor. I thought today would be a good day to tackle this subject because a) I just finished a hub on the subject of cats and dogs, b) cats and dogs are animals, c) October 4 is the feast day of Saint Francis of Assisi, patron saint of animals. In fact, I just saw on the local news people bringing their pets to be blessed -- including one man whose 25-year-old tortoise gets blessed every year. Obviously, if St. Francis' blessing has kept this tortoise alive 25 years, and the blessing of animals is deemed mainstream enough to make it onto the news (NBC affiliate, even), then praying to saints must work!!! Do we pray to or with the saints? Pray to St. Anthony... or is it Jude? There are patron saint for countries, professions, married people, single people, dying and childbirth. There are patron saints for diseases and disease prevention. In short, there's a patron saint for just about everything. My earliest recollection of singling out a specific saint for "intercession" (that's the Catholic word for "help from a saint") was when I was 8. My brother and sister and I and our dog Sam went sledding. Somehow, the dog got loose, we ran to chase him, and in the hubbub lost the sled (or someone took it). As my mother sent us back out to search for the sled, she admonished us to pray to St. Anthony, the patron saint of lost things. Something's lost and can't be found, please St. Anthony, look around. Dear St. Anthony, I pray, bring it back without delay. We never did find our sled, but as children, I don't think we took the whole St. Anthony intercession thing seriously. Jude's the saint to call on in a really dire situation or medical crisis. St. Jude is the proper way to address him (okay to drop the Thaddeus). But "Hey Jude" will probably not get you too far. St. Patrick is widely known for bringing Christianity to Ireland, using a shamrock to explain the Holy Trinity. It's no wonder he become the patron saint of Ireland!But he shares that honor with St. Brigid of Kildare and St. Columba (in case you have need to pray for the Emerald Isle anytime soon, you can take your pick). 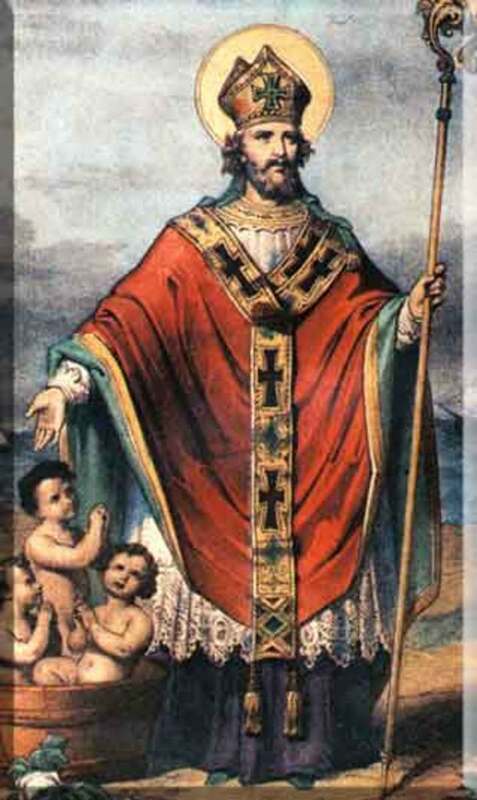 And for reasons that are not immediately obvious, St. Patrick is also the patron saint of engineers -- and Nigeria. 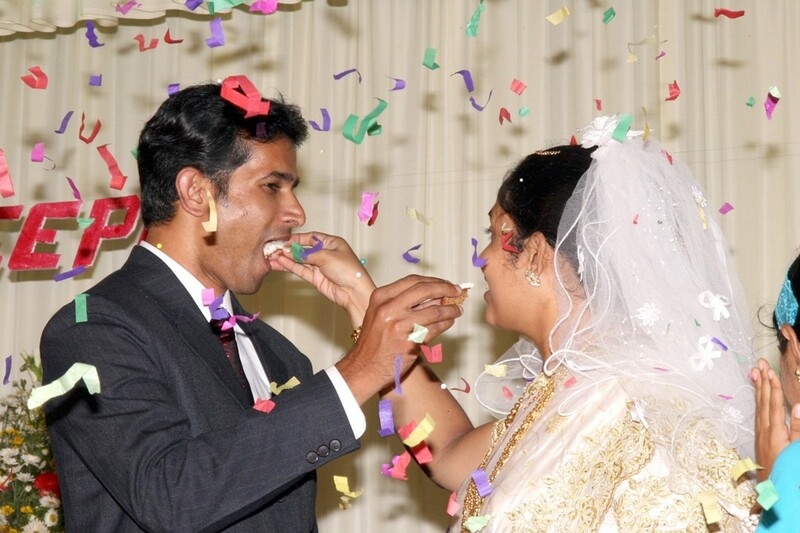 We all know that St. Valentine is the patron saint of love, young people and happy marriages. He's also (fittingly) the patron saint of greetings. So how exactly did Valentine become associated with these things? One legend says, while awaiting his execution, Valentinus restored the sight of his jailer's blind daughter. Another legend says, on the eve of his death, he penned a farewell note to the jailer's daughter, signing it, "From your Valentine." Dear Saint, you have inherited a beautiful name - Christbearer - as a result of a wonderful legend that while carrying people across a raging stream you also carried the Child Jesus. Teach us to be true Christbearers to those who do not know him. Protect all drivers who often transports those who bear Christ within them. Amen. Saint of the Day offers daily inspiring saints' stories and presents ways to apply their example. Send free Saints' e-greetings. In some cases, the relation of a saint to a cause may not be obvious, but ours is not to question the authority that assigns these things. They know what they're doing. Feel free to explore the full list to discover who might be relevant to your situation. 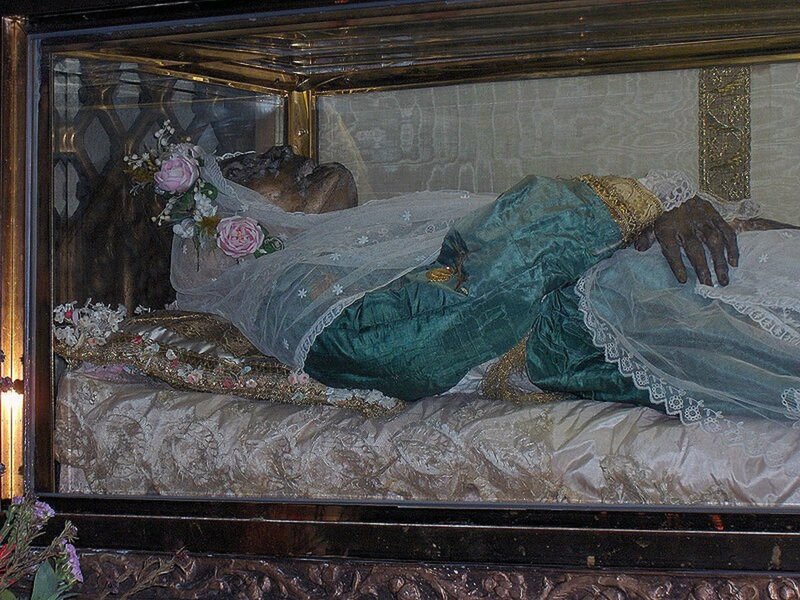 St. Isodore of Seville, patron saint of computers and the internet! They've gotten me this far. Now it's up to you. I hope you find this helpful and will look to the saints when your prayers need a little extra focused attention. celafoe -- It was never my intent, nor would it ever be my intent, to "justify" anything with scripture. Perhaps you might get someone to engage with you over in the Religion Forum. Rob Lattin. Yep. We have angels, saints, ascended masters -- a whole slew of beings we can turn to for guidance, help and support. Cool, eh? Hanna -- glad you have received so much help from Saint Expedite! Thank you Saint Expedite,for helping me yet again and again.Glory to you. Great article on Patron Saints! I went to the site that listed them as well. It's funny that we have friends in heaven (patron saints), as well as our own guardian angels, to help pray for us and ask God for favors. Keep writing! the Original CHRISTIAN church was not and is not the catholic church. and yes they interpret things to fit their man made rules , which in so may cases are NOT in line with what the scriptures clearly say. The dogma of the catholic church is not the teachings of Christ, tho they do include some , but of men and much of it is not scriptural. As is usual you quote man made statements and not scripture, because you cannot justify these teachings with scripture. wow -- and the bible clearly says that there is only ONE interessor between God and man, the man Christ Jesus. and the bible also says consulting with (praying to ) , or talking to a dead person is necromancy and is strictly forbidden. How can doing so be a Christian thing?? Great Saint Expedite thank you,thank you again. Thank you Saint Expedite for money and my doctor.Glory to you. I would like to thank St Expedite for helping my husband to have a lot of work,and continues to help him today,as wel.Igive him praise and blessing for his intercession.Keep working St Expedite.Thank You Saint Expedite again. Thank you Saint Judas Thaddeus for your answer to my prayers.Thank you for helping my marriage and my doctor.Please continueto help me.St Jude,pray for me and all who invoke your aid. Saint Expedite for hearing my prayers thank you.I know that you hear me.If you want just help me one more time. I want to propagate St. Jude’s prayer. St. Jude is invoked in desperation and is the patron saint of desperate cases. He has never failed me, and words cannot articulate my gratitude for his incessant support. St. Jude, thank you for you unceasing and unbroken intercession. Never have you failed me, and through taxing times you continue to amaze me. Most recently, I truly appreciate your help after surgery- the healing process has been remarkable and rapid! Please continue to help me during the recovery process, healing properly each day with no complications. Thank you, God, for answering my prayer. Thank you, St Jude, for hearing my prayers, shining your light on me and interceding on my behalf. St Jude, pray for me and all who invoke your aid! The Loving God is not in today's religions, as well as the true Jesus is not in the new testament. Igive thanks and honor Saint Expedite for helping my doctor. Thanks you Saint Expedite for prayers answers.Faster and more miraculously,than I could have ever dreamed. Thank you Saint Expedite .I started praying to you this morning and he reached out to me, a few hours later.I am very greatful to you and hold you near to my heart as my patron. I give thanks and honor Saint Expedite for helping me with my job. Thanks for posting again. It dismays me to think of people criticizing Catholics as blasphemous! I mean, come on. But, I have no doubt this happens. I have had enough run-ins with today's "real" (in their own narrow minds) Christians to believe some people look for any/every opportunity to prove others wrong so they can feel righteous in their own beliefs. Which too often seem to be very literally and narrowly defined by very limited understanding. I'm really glad you brought this up, as it enabled me to step back and question my own understanding. I'm pretty comfortable in my own faith, but it helped to look it up on a CATHOLIC website. I remember my mother and grandmother constantly suggesting "Pray TO St. Jude." Or "Pray TO St. Anthony." You're right in that we are not praying to them as deities. But praying to them as the messengers of specific requests to God. I look at it as the saints are "specialists" like you'd go to a podiatrist with a foot problem and a gynecologist for a female reproductive problem. Anyway, if I could offer you any advice it's not to engage with anyone who criticizes your prayers as blasphemous. At best, THEY are being blasphemous in criticizing a longstanding tradition of the ORIGINAL Christian church. At worst, it's a losing battle and you will never convince them (because they are always RIGHT) and only make yourself upset. Yes, I'd agree when worded that way it makes more sense to me. I've just had so many people question me on what it means to pray to/through/with etc. the saints and try to tell me its blasphemous, that I'm fairly sensitive on trying to explain it as accurately and thoroughly as possible - when people here the phrase praying "to" saints, they assume it means worship, and that we're praying to saints instead of God! I was always taught that we don't pray to the saints, but ask for their intercession and ask them to pray for us, but it seems like this is mostly semantics and that we both mean the same thing even though we're using different words. As a result of your suggestion I have posted a link that explains many of the common criticisms against Catholics regarding how we do or do not/should and should not pray. The fact is, however, that we DO pray "to" the saints to deliver our messages to God. Just like we pray to Mary, even though other Christian denominations do not. Great hub, and great examples of patron saints. I agree with those who pointed out however, that Catholics pray THROUGH teh saints and not TO them! I think that a section with a bit more in depth information on why Catholics pray for saints intercession, could go a long way in improving this hub. As you see from the comments many people are hostile toward the Catholic practice of praying with the saints, and I feel that any wrong information (evne unintentionally) about our practice - and saying we pray to the saints is definitely wrong, because we only pray to and worship God - can only provide further fuel for that hostility. Thank You Saint Jude Thaddeus for your ansewer to my prayers.Thank you for helping my daughter to pass the examination. Thank you Saint Jude Thaddeus for your answer to my prayers. Thank you for helping my husband. Saint Ex pedite just thank you for listening. Sain Expedite you have answered another one of my prayers super fast,thank you Saint E xpedite . I really appreciate all of your help. Many bllessing to YOU.THANK YOU AGAIN. Thank you again Saint Epedite for granting my petition to you. I will always be grateful to you and hold you near to my heart as my patron Saint. Glad to hear your favorite saint is still working so hard for you! Congrats and keep the faith! THANK YOU THANK YOU SAINT EXPEDITE.YOU HAVE ANSWERED ANOTHER ONE OF MY PRAYERS SUPER FAST. Once a person fell down from 20th floor building. He cried loud 'St Francis, pray for me'. Then the angel got hold of him and asked which St. Francis did u mean? He told 'St. Francis of assisi. Angel dropped him down and told "sorry, wrong department"
Thank you for this nice hub. I now know the right departments :-) Keep writing good hubs. 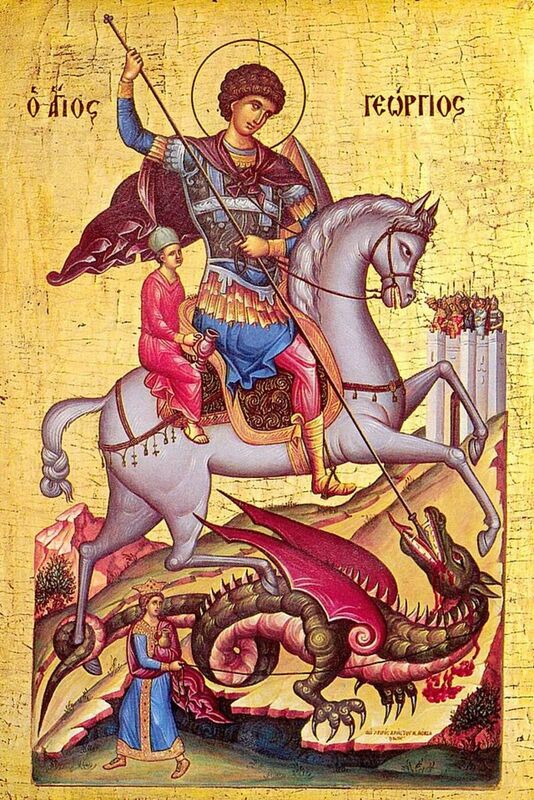 Dear saint Expedite today 19 April Your name date.Thank you,thank you, thank you.Glory to your name. i would like to thank Saint Expedite for his help because he listened my prays.he made my wish come true.glory to Saint Expedite.thanks from the bottom of my heart. MY WISHES CAME TRUE... THANK YOU SO MUCH..MY WORK GOES REALLY WELL AND THIS HAPPENED BECAUSE OF YOU.. THANK YOU SO MUCH ONCE AGAIN,I AM GRATEFUL TO YOU ST EXPEDITE.. YOU ARE ONE OF THE GREATEST! I would also like to thank St. Expedite. He has helped my husband find work in the past, and continues to help us today as well. I give him praise and blessings for his intercession. hello everybody do anybody know dat which saint should i pray for judgement if sumbody has wrong with me and i cant take any action against him ,and also for job urgently in technical field with good salary i am searching job from 1 yr and sumbody has done wrong with me afetr 2yrs 7 mnths relationship. plz if anybody know reply me or mail me on shialuves@yahoo.com thanx and warm wishes to all of u. Hey loved your article, I have a Catholic web site of Catholic writers, its free and its a place to write about your faith. www.catholicamericatoday.net, loved your article. god bless. Hi lisadpreston. It's been awhile since I heard anyone talking about becoming Catholic. I find it very interesting that the example you want to follow is a woman. My mother and my Aunt Helen definitely exemplify Catholicism at its purest, as well. I hope you enjoy checking out the masses in your area and that you end up interacting with a good priest who is encouraging of your conversion. I recently was thinking of becoming catholic. I moved into a new house and my neighbor is a devout catholic. She is the nicest, purest example of what I would want to follow. She told me of the catholic churches around here and informed me of classes I would have to take. Yes, judging from this hub, I definitely need classes to learn all of this stuff. Really informative hub and I'm going to print this. That is one of the nicest comments I have ever received on a hub. Thank YOU! This is one the nicest hubs I have read on a while. Great to see others who enjoy writing of patron saints! Very nice hub you put together here. God bless! Hi Vernpaulwriter. I will check you out. Thanks for the compliment! God is definitely on the Internet. He is debated here in the religion forums daily -- but I try to stay out of there as it's a no-win argument:-)! Mighty Mom your great. I would love to have you write on Catholic America Today. Everyday we fight to keep God on the Internet. To have you on our site would be a blessing. Please check us out. We are free to join. St Clare is the patron saint of the internet-so maybe that covers hubbers:)Great hub. Hi mmic. You're so right! No WONDER we can't get a buyer for our house (just kidding). Thank you! It is a statue of St Joseph not St John that sells homes. Hi Greenheart. I am heartened to know that prayer has a place in your work. I have truly come to believe in the power of prayer. There is a God (or Higher Power) guiding each of us if we ask for help and if we listen! Prayer is so important for many people. I work as a psychiatric nurse and have found that prayer abd faith are what keep people going. St.Anthony and St. Jude were faves in my house, too! Boston Irish Catholic, eh? You are making me nostalgic for my Boston days. Although my family was of the New York Irish Catholic variety -- slightly different:-). Great Hub Mom. As a Boston Irish Catholic, I was brought up praying through the saints not to them. 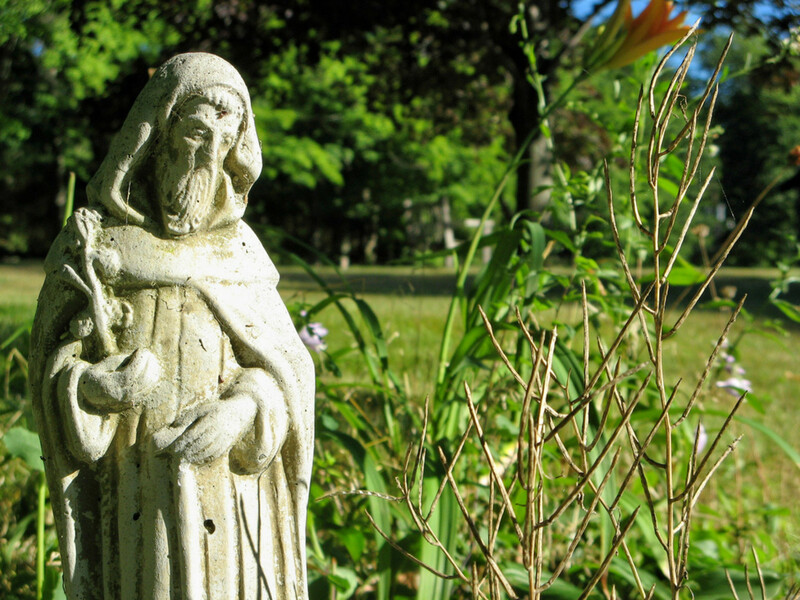 The St. Anthony relationship in my family was strong and the prayer was: "St. Anthony of lost and found please bring (item) around." Seems the prayers have to rhyme. While camping one time I watch my mother pray that prayer with a friend who had lost the diamond out of her engagement ring. It was a small stone and after about half an hour of searching the campsite mother prayed to St. Anthony and bent down and picked up the diamond out of the fireplace full of sand and ashes. OT Thanks for the encouragement. We agree. God is going to judge us based on what kind of life we live. According to his 10 Commandments. A lot of religions "allow" people to do all kinds of things NOT found in the scripture, that is why it is called "religion" and NOT the TRUTH. GOD is NOT going to ask us if we followed a religion, HE is going to ask us did you follow ME and what I said? Not the pope! Quietnessandtrust -- How do you feel about psalms? Are they ok? 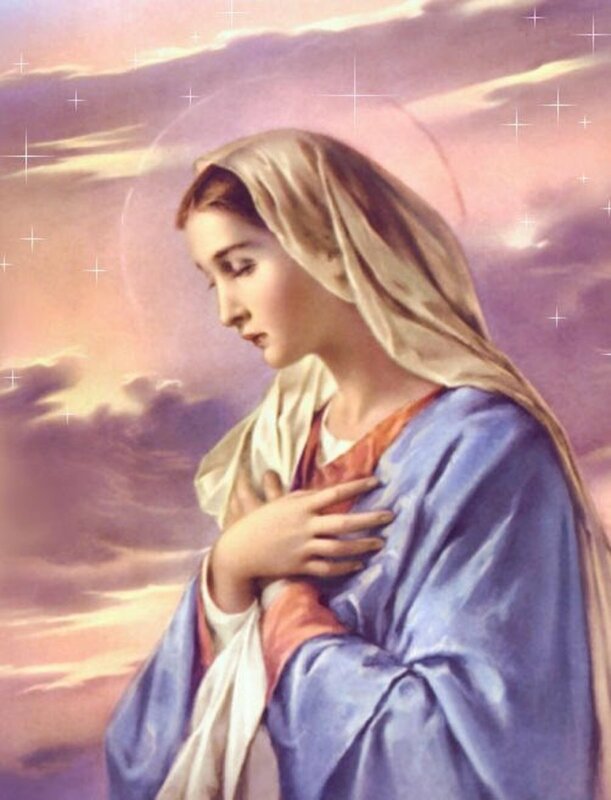 One of my favorite prayers is Hail Mary. And the St. Francis Prayer (also known as the 11th Step Prayer of AA). Please cite where it is written in the scriptures to pray to people. Messiah was asked by His students how to pray and He said. "Our Father who is in heaven, Holy is Your Name...."
That is the One we are to pray to and not another as per Messiah. Praying to The Father, in the Name of Messiah Jesus, by The Holy Spirit. No One is greater than The Father!!! So waste no vain words praying to anyone else. Rather than consult the pope, try speaking to God. Hellow quietnessandtrust. Are you saying Cathollics are not close to God because we pray to saints (and presumably to Jesus, The Virgin Mary and the Holy Spirit)? Well, I'll be sure to pass your suggestions along to the Pope. Thanks for visiting. Perhaps if Catholics spent more time praying to GOD The Father and not men and women......they would find themselves closer to HIM. Congratulations! I am so happy for your husband. That's wonderful news. You must both be relieved. A foot in the door is a start. Fingers x'd that things pick up and this job leads to more money for him. I can really relate to this situation. I would like to thank St. Expedite for heling us. My husband had been out of work since Dec. 08 & he just got a job. He will be making LOTS less than he was but IT'S A JOB. We are so thankful to him for it. Thank you, Thank you, Thank you. St. Expedite for interceeding for us. I loved your hub Mighty Mom and thankyou for your research and hard work in discovering even new saints you never knew. Bless You. Hello Specificity! It is good to see you again. You have one of the absolutely most adorable avatars on HP! Thanks for the read and the thumbs up. Love the idea of blessing livestock. Coming from the East Coast I am familiar with blessing of the (fishing) fleets. Same idea! A StumbleUpon thumbs up for you! Great hub! A Catholic catechist and apologist, I too had to look up the 13 Blessed Souls. Here in the Midwest, it is common for rural priests to actually visit the farms of parishoners on the feast of St. Francis to bless the livestock. Hello Grace, Saint Expedite -- that is a new one to me! I know the word expedite. Did not know it came from a saint's name! Thirteen Blessed Souls is also new to me. I will have to look that up. Thank you! I know, hunh! Hubs can be funny that way. A flurry of activity when they first get published. Then sit for awhile until rediscovered and a new thread of comments revives them. I think maybe the sudden interest in saints may be linked to our current economic conditions:-). Wow! This Hub is really hopping after two months! Hi Mighty Mom - It was a nice analogy by CW but I am not that struck on being given the totem name of kangaroo - they can be a problem to many people and they are very smart in the water particularly like to drown dogs. (&amp; I am a big dog fan!) They are a beautiful and unusual animal but when they get thirsty and start getting onto golf courses, &amp; roads etc not too good a look. We live out in the country and on our way to the city often see them dead as roadkill "Death by Truck" by the side of the road - it is very sad but they have multiplied and are hungry and thirsty so they come down to find the necessities of life; but mind you if they actually do turn right &amp; run into your car it is an expensive effort to then get the car repaired!! Hi ladies, So interesting the tidbits we learn about each other in these hubs and comments... Gazelle. I like that, too. Graceful and quick moving. Although swan is also graceful and loyal. Hmm... Ajcor, how do you feel about being a kangaroo? I love kangaroos but I'm betting that people who live down under might feel differently about them... true? And what's it like being a Catholic married to an Anglican Minister? Do you still go to your own church? Or do you alternate? I'm Catholic also and my hubby is Lutheran. But he loves to come to Catholic mass. Btw when we went to Yellowstone National Park in the summer this year we saw lots of Bisons their. Yes, that MM avatar will reappear after the holidays. I don't have a plethora of Christmas-related pics so I chose this one from our trip to Utah last year. Those are buffalo by the fence! But please don't be getting any ideas, now CW. I do NOT want to be a buffalo:-). Koala bears are adorable! I'm the MAMA bear tho, so I do the hugging! Looking forward to see you later. I feel you are the cute koala bear whom everybody wants to hug. Right now I'm thinking about burying one of those statues in my yard so my property doesn't devalue any more than it already has in the 2 years since we bought the house! But I do like the idea of a global rite so to speak. CW -- we might be onto something here. Are we bold enough:-)?? 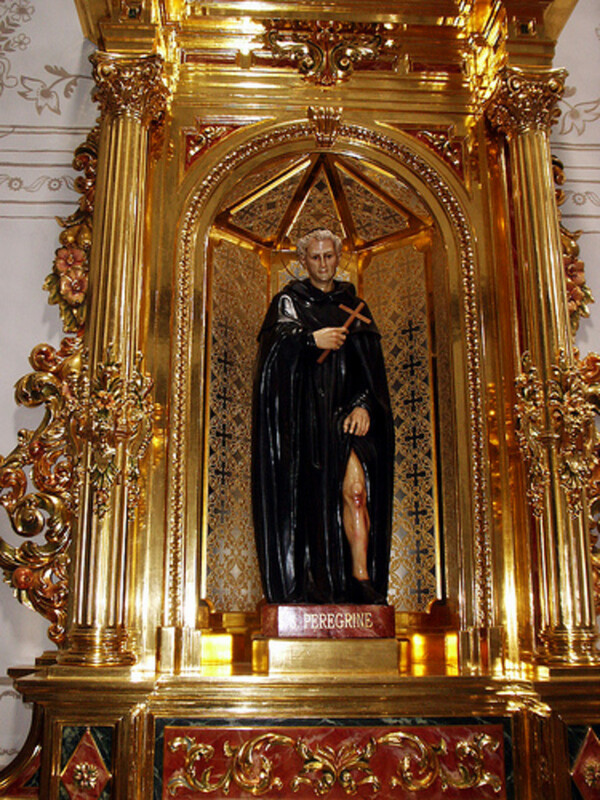 CWB, I think that statuette you were speaking of was St. John. Last year there was this report on the news about people doing that to get their houses sold. I can only assume that you know the tortoise is commonly a very long lived critter. Many years ago we were trying to sell a house. It was on the market for a couple of months and we weren't getting any bites. My wife heard from someone about a little ritual that would help. She was told to get a small statuette of a particular saint, I can't remember which, and bury it in an upright position in the front yard. Being an open minded sort, my wife did exactly that. I swear upon my mothers urn, the house sold the following day. I wonder when they will assign a patron saint of hubbers and who we'll get? S/he will certainly be kept busy! Thanks for sharing this topic with me, Misty!